I am trying to get rid of the extra kilos gained during Christmas so I am on a cleansing diet with a lot of tea coffee and these days- vegetables. I would like to share with you my favourite recipes with vegetables juices. 3. 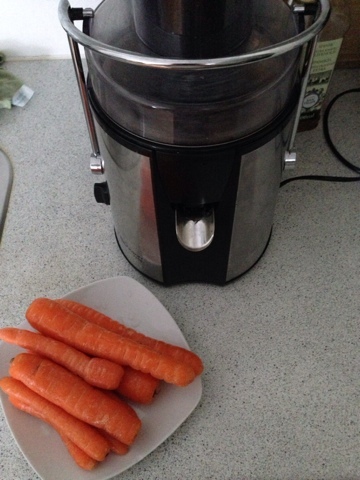 Carrots, parsley and celery: 8 carrots and the quantity of parsley and celery depends on how much you like those. 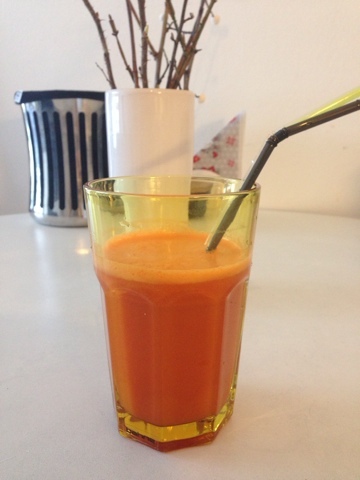 Before drinking the fresh juice with carrots always put a drop of olive oil. Many people don't know that in order to get all the vitamins that carrots offer you need to add a bit of olive oil because they are liposoluble (I hope it is correct, I needed to check the work in English). I hope you enjoyed this article. Have a very lovely Saturday.